Cook pasta just under al dente as it will continue to cook in jaffle maker. Drizzle olive oil, add onion, garlic (optional) and tinned tomatoes into a pan on medium heat. Cook until onion is caramelised. Combine cooked pasta with sauce mix. Spread a little butter on the outer side of each slice of bread to prevent sticking to jaffle maker. Press hand into each slice to create a little bowl for spaghetti to sit in. 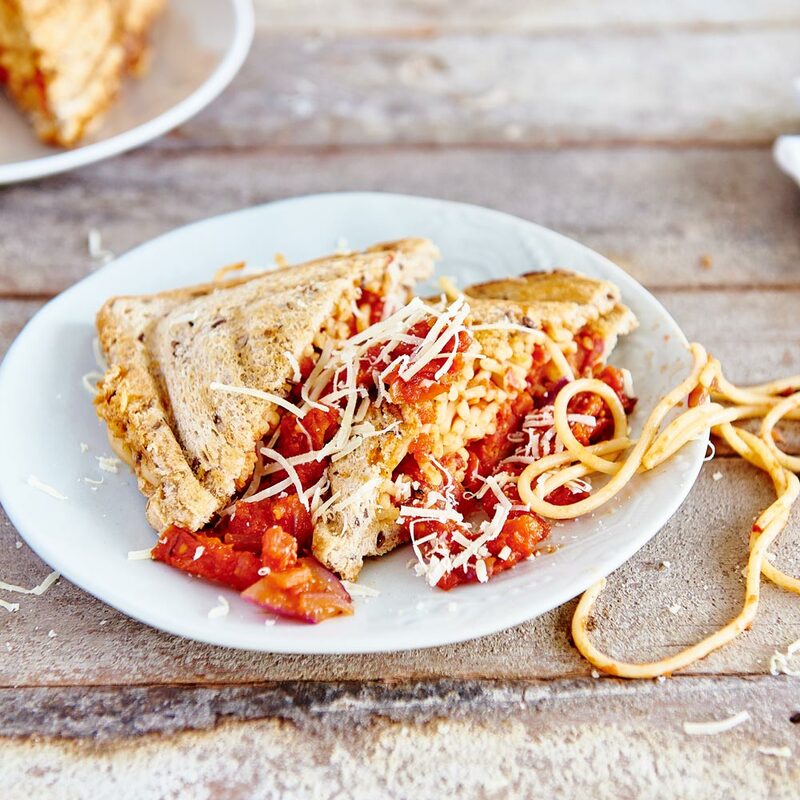 Add spaghetti and grated cheese into the slices of bread, season to taste before placing another slice of bread onto each. Close and cook until bread is well toasted.